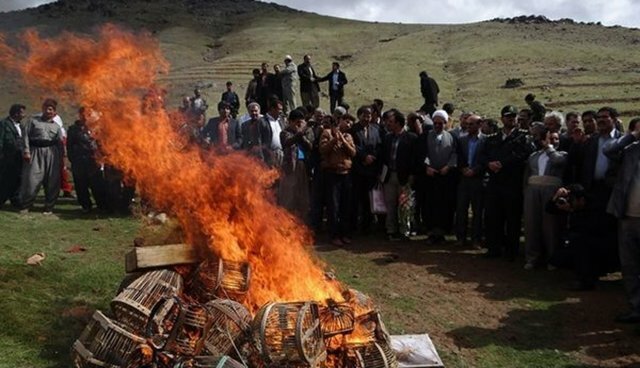 Hunters in Iran's Kurdistan region have made a remarkable commitment to change their ways for the sake of wildlife -- burning their traps, breaking their rifles, and vowing to now stand in solidarity with animals they once targeted. The move came just weeks after the Iranian environmental ministry released a report indicating that 74 species native to the country had been placed on the red list of the International Union for the Conservation of Nature, in danger of extinction from human activity. According to FRANCE 24, conservationists from the organization Chya met with local hunters individually to inform them of the threats posed by hunting, both legal and illegal, successfully convincing 19 of them to take an oath to protect the region's biodiversity. For veteran hunter Hossein Ahmadi, the decision to destroy his equipment was an easy one, especially since he'd seen the impact of overhunting first-hand. "I mostly hunted partridges, hares, wood pigeons and a few other local birds. But even then, I realize now that what I did was damaging to our local wildlife. There are hardly any partridges left in this area. The nearby mountains used to be full of wild goats, but now there are only a dozen left. There also used to be a beautiful bird called the Sandgrouse, which nested all over the mountains, but nobody has seen them in 15 years," says Ahmadi. "Hunting is out of control, and it's destroying our wildlife. That's why I and other hunters decided to set an example by taking an oath to stop killing all animals." Over the last century, several iconic species in Iran have been hunted to extinction -- including the Iranian lion and Mazandaran tiger. 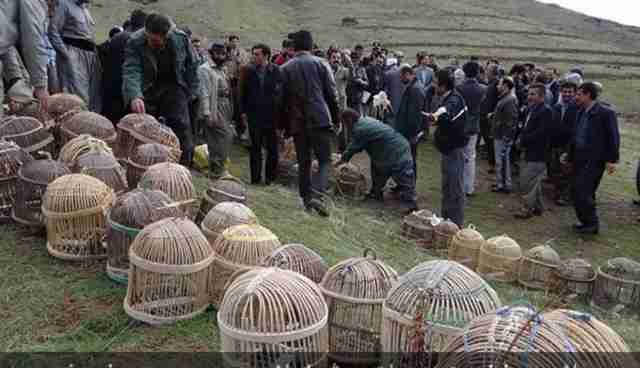 Wildlife authorities fear that if hunting continues unabated, dozens other animals will soon meet that same fate.